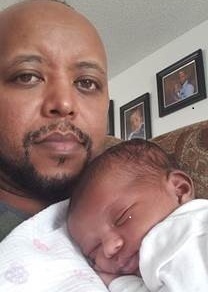 A story of nerves, joy, and success! A day in the life of a refugee resettlement case manager as she helps a newly arrived family prepare for school. 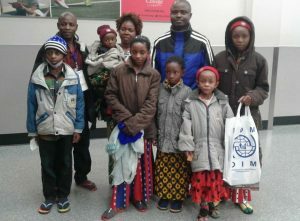 Lumanya’s family arriving at the Des Moines International Airport. 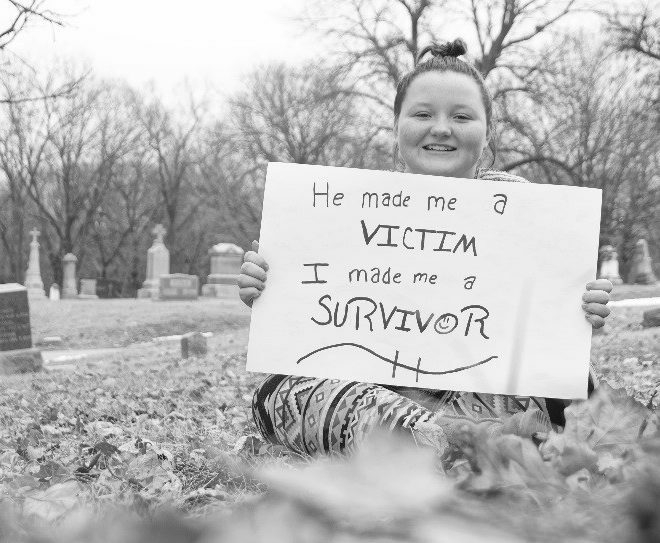 Written by Elsie Rotich, Reception and Placement Case Manager Catholic Charities, Diocese of Des Moines. She stands in the middle of the featured photo of this story surrounded by Lumanya on the far right, and his children. The first day of school in the United States of America is one of the happiest days for my refugee clients and me. I was a school teacher in Kenya before migrating to the United States. I have fond memories of not only the beautiful country but also my former students who I often run into when I visit Kenya. I enjoy supporting newly arrived refugee clients throughout the resettlement process and always look forward to students’ first days of school. To get there, there is a lot of work to be done! 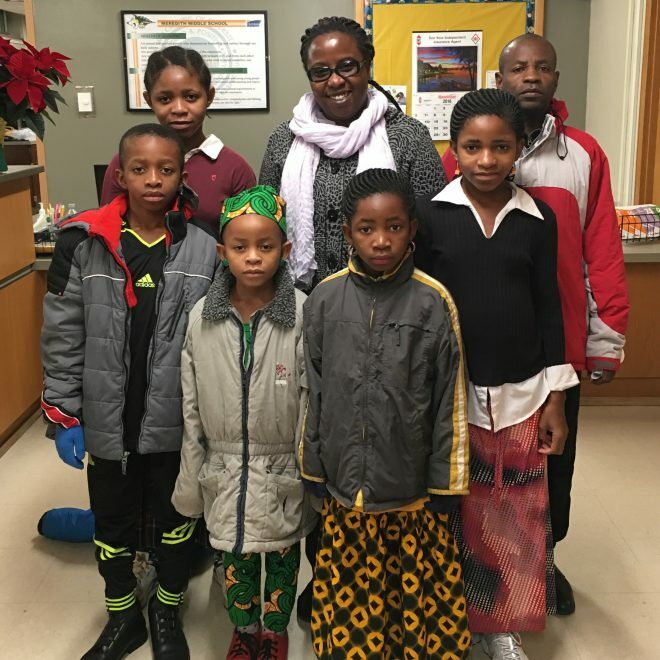 Like all the refugee clients, I met Lumanya’s family when they first arrived at Des Moines International Airport on a red eye from Nyarugusu refugee camp in Tanzania. Their family members in Iowa were very excited that they were finally able to make the journey to the United States after 20 years at the refugee camp. Lumanya fled Congo in 1997 when he was only 22 years old. At the refugee camp, he met his wife Mapendo and together they had six children; Eugenie, Marie, Alinoti, Vick, Afina, and Modeste. After the joy and festivities of arrival and being reunited with their family, the process of establishing residency and adjustment to the American way of life began. I assisted Lumanya’s family in obtaining necessary services including housing, healthcare, enrollment in public benefits, school enrollment, and other services. First order of business is to get Social Security cards so they can be eligible for benefits. Eugenie, Marie, Alinoti, Afina, Vick at the Social Security office, wearing their coats provided by Catholic Charities. The coats come from generous donors in the community. 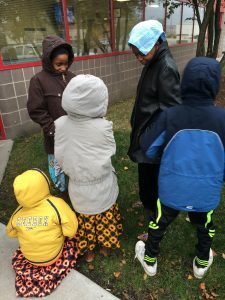 After the Eugenie, Alinoti, Afina and Vick completed a refugee physical and obtained required immunizations for school enrollment, they were enrolled in Des Moines public school. Once the bus schedules were out, I drove them to their first day of school so that they could meet their teachers and see their new school! Mr. Firmin, the Swahili Bilingual Community Outreach worker, met us at Meredith middle school where Marie and Alinoti are enrolled. Marie and Alinoti got their picture taken for their school ID’s and Mr. Firmin introduced them to their teachers, administration staff, and the school nurse. We walked over to the connecting Hoover High School where Eugenie is enrolled. Eugenie got her picture taken and was excited to tour her new school. She was all smiles as she met her new teacher and was shown her locker and classroom. After about an hour, we all piled into the Catholic Charities Variety van, and I drove them to Edmunds Elementary where Vick and Afina are enrolled. Mr. Firmin also headed to Edmunds to assist us with Swahili interpretation and a tour of the school. The receptionist was expecting us, and she provided us with the bus schedules. As we awaited the tour of the school, Vick and Afina got to pick out winter clothing – winter coats, hats, gloves, and scarves. Eugenie also got a winter coat! All children were happy, and Mr. Firmin explained in Swahili the importance of dressing warmly for the Iowa cold. “Always remember to bring your coats, hats, and gloves during winter even if it looks sunny outside. Iowa weather can change at any time, and you need to be prepared.” The children all nodded in unison. Mr. Firmin turned to their father, Lumanya, and gave him a detailed orientation of the American education system. Vick and Afina arriving home from their first day of school! When it was time to go home I turned to Vick and Afina and asked them what they thought of their school. They all said it is very nice. I asked them if they wanted to start school today, and they nodded shyly. “Don’t be shy” I told them, “let’s ask the teacher if you can start today.” The teacher welcomed them into the classroom and showed them their desk. 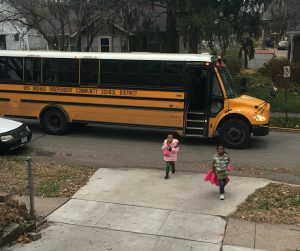 I assured their dad that the children would be brought home by the school bus, all he needed to do was ensure someone would be home to receive them each day. I assured him I would be there when the children got dropped off that day. He agreed.